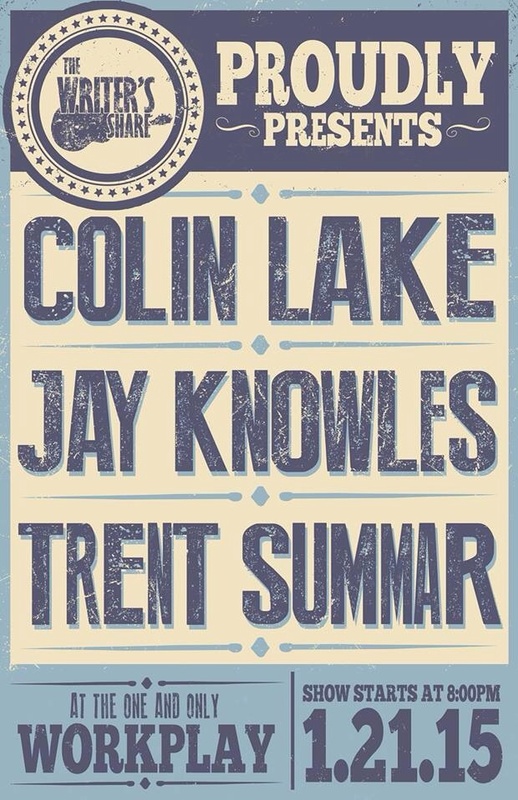 Colin will perform solo at Work Play as part of a songwriters' round presented by the Writer's Share. He will be joined by Jay Knowles and Trent Summar from Nashville. Click here to by tickets.